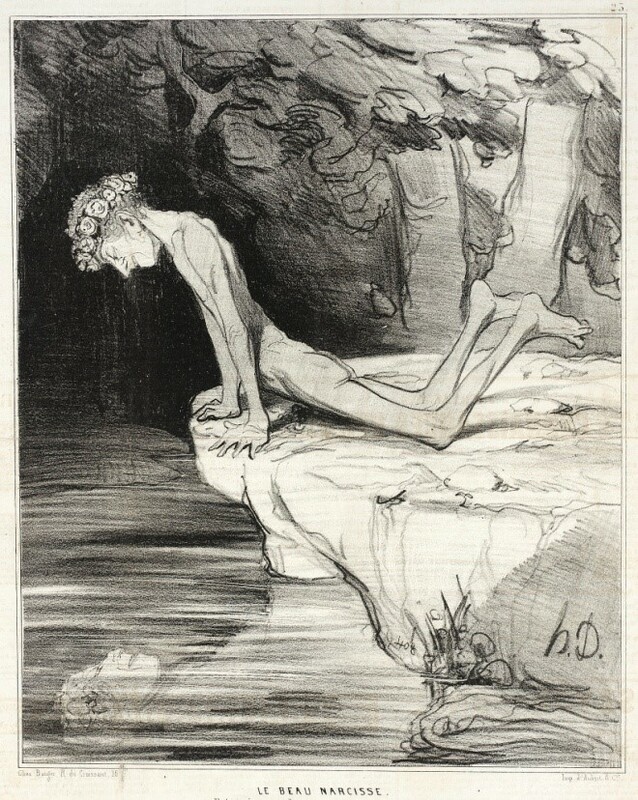 Do you remember the Greek myth of Narcissus? It’s the story of an attractive and arrogant man that fell deeply in love with his own face reflected on the water, to the point of losing all interest in life when the reflection was not visible. He died looking at the pond, with no other desire than gazing at his own image. We have all probably encountered someone like this in our lives. Whether it is that popular guy at high school, the wife that spends two hours in front of the mirror, the husband, the impulsive boss, the public celebrity, the writer, the actor or even politicians, anybody can show some signs of narcissism. The problem begins when it becomes pathologic. At first glance, people with narcissistic personality disorder (NPD) seem extremely confident, fearless, shameless, and self-sufficient. However, researchers and clinicians investigating these behaviors have found that they are actually a mask to cover low self-esteem, fear, shame, and lack of empathy. People with NPD have the need to be admired, valued over others, and expect to be treated as superiors. More frequent in men than women, NPD is rarely treated by itself since it is often accompanied by more severe conditions such as depression, substance abuse, paranoia, eating or bipolar disorders. The causes of this personality disorder are not completely clear, but it has strong hereditary and social components. It’s often incubated during childhood, and blooms in adolescence and early adulthood. The major problem with NPD is not what happens with the individual itself, it’s what happens to others. It is common that people surrounding narcissists get humiliated, discredited, disregarded and disrespected by them. It is also common that in order to surpass the fear of falling short, narcissists develop a need for achievement, self-enhancement, perfectionism, and snobbery. However, society rewards these kinds of behaviors, especially in public personalities like artists and politicians. In a culture where success is overvalued and measured in comparison to others, NPD can drive individuals into privileged positions at the expense of others. The famous phrase by Machiavelli “the end justifies the means” is a magnificent example of the approach that these individuals can take in order to achieve their goals. But one can imagine that this is a double-edged sword, since the same attributes that brought them to success could end up dispelling their beloved ones away. In the end, patients with NPD are not aware of their condition and do not seek treatment by themselves. It is often a harmed third party that requests mental healthcare for an individual with NPD. Do you know any politicians exhibiting any of these symptoms? This entry was posted in Art, Current Articles by Qiong Wang. Bookmark the permalink.